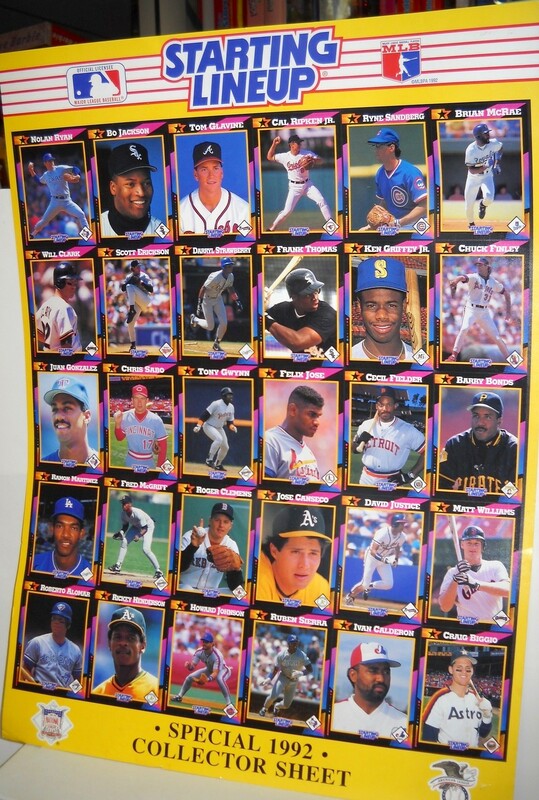 1992 Starting Lineup collector poster size (16 by 22 inches) uncut sheet of all 30 baseball cards that were packaged with their figurines including Ken Griffey Jr., Rickey Henderson, Cal Ripken and Nolan Ryan. 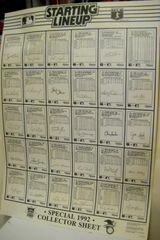 Has minor to moderate creases, still suitable for framing or even cutting into individual cards. 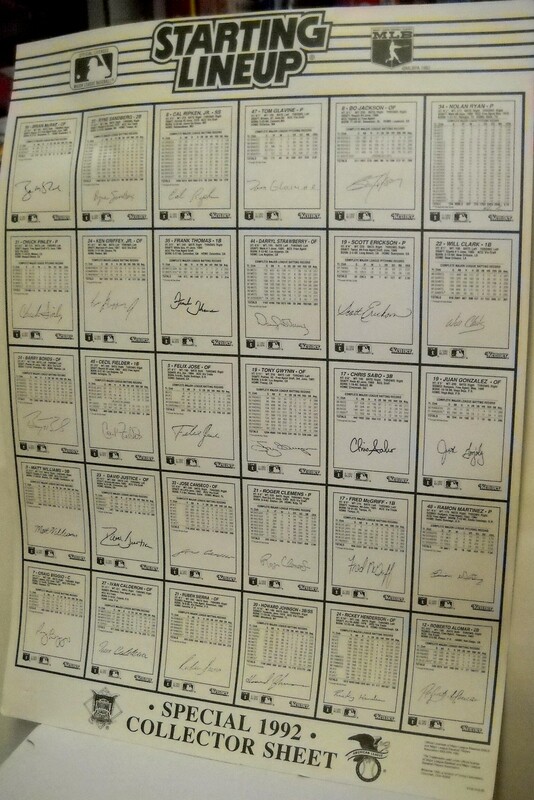 ONLY 4 LEFT.